Concerned residents have rallied to restore, record and maintain the history of the many laid to rest. See photos. RICHMOND, Va. — On a hot Saturday in April, volunteers work under a bright sun and the noise of buzzing insects to find and remove unchecked nature and neglect from the graves of thousands of African-Americans, from everyday citizens to some of the most important leaders in local, state and national history. But the state of the burial grounds can be a stark contrast to the stature of the prominent figures buried there. Over the years, Evergreen, East End and many other black cemeteries across Virginia have fallen into disrepair, neglected and unacknowledged. More recently, concerned residents have rallied to restore, record and maintain the history of the many laid to rest. 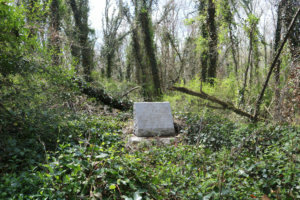 “It is not, shall we say, stunningly beautiful to someone who is more familiar with cemeteries like Hollywood (where Jefferson Davis, president of the Confederacy, is buried), or the Confederate section of Oakwood, but to us, it is remarkable,” Palmer said of the work accomplished in East End since community efforts increased in 2013. Across the commonwealth, volunteers like Palmer labor to restore the state’s African-American cemeteries, shining a light on a part of Virginia’s history often overshadowed by the legacy of the Confederacy. 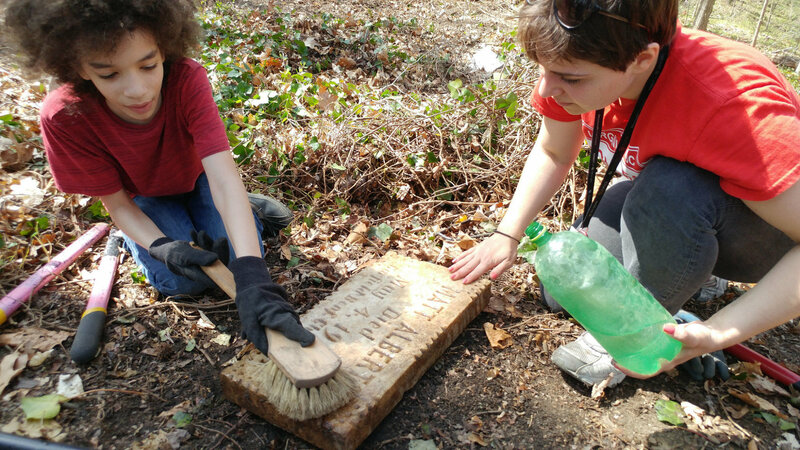 In recent years, these volunteers have seen support from a new source: the Virginia General Assembly, which has approved state funding for cleaning up and maintaining several of these cemeteries. East End and Evergreen, on the line between Richmond and Henrico County, were the first African-American cemeteries in Virginia to receive help from the state government. In 2017, House Bill 1547 was signed into law. It allowed qualifying charitable organizations to collect maintenance funds for the two cemeteries — $5 annually for every person interred who lived between January 1800 and January 1900. This led to a wave of similar legislation in 2018, with five bills passing the General Assembly. Most of the bills focused on African-American cemeteries in specific locales: Charlottesville, Loudon County and Portsmouth. In addition, HB 284 will extend state funding to every African-American cemetery established before 1900 and allow the caretakers of those sites to receive maintenance funds from the state. “This year, we came back to say, ‘Let’s be clear: Localities have access to these funds,’” McQuinn said. Palmer remains ambivalent about the legislation; his group plans to meet with McQuinn to discuss it in greater detail. Friends of East End Cemetery, a nonprofit organization, had attempted to apply to receive state funding under HB 1547 but was unsuccessful. Palmer first stepped into East End Cemetery in the summer of 2014 with his wife Erin while making a documentary. There, they encountered an armed hunting group who said they had permission to use the grounds. Palmer later said he contacted the previous owner, who contradicted this claim. The following year, the Palmers joined in the volunteer efforts, helping to rediscover and archive the names of people buried there more than a century ago. State officials said East End Cemetery has nearly 4,900 graves that qualify for assistance and Evergreen has 2,100. Visitors can see support for that statement: A number of memorials are broken or obscured by overgrowth, and piles of decades-old detritus, collected by workers, line some of the paths in the lower areas of the cemetery. 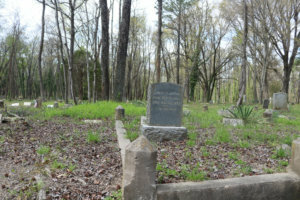 In 2015, the city of Charlottesville gave $80,000 to the Preservers of the Daughters of Zion Cemetery to support their work in the city-owned burial grounds. The group hopes to “restore the extant markers, to attempt to identify the many unknown burials and to share information about the known individuals buried at the historic cemetery,” alongside videos, audio tours and an active presence on social media. Editor’s note: This story is from partners at Virginia Commonwealth University’s Capital News Service.